RESTRICTIONS: 21 years of age or older to attend the event. Online ticket sales ends one hour prior to show time, to buy tickets, please come to the Viper Room to purchase tickets at the door. 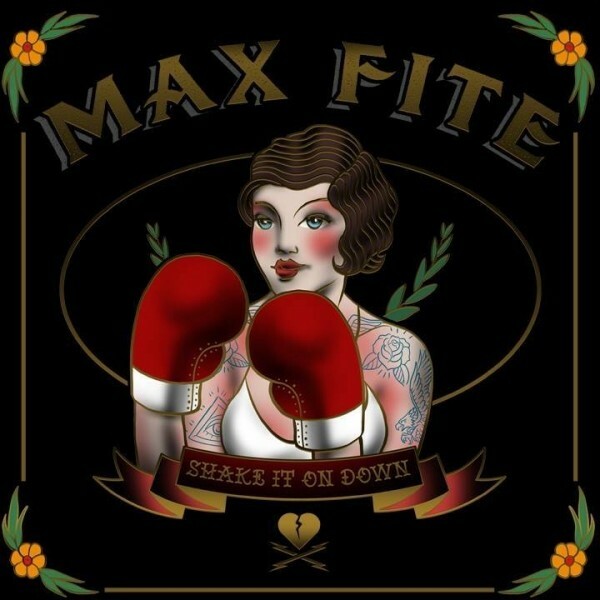 Through the power of music, ‘Max Fite' strives to enrich their songs with life’s passion. SHAKE IT ON DOWN brings tones of rock ’n’ roll, blues and folk together, forming a striking and visual experience. Acting as a road map to life’s struggles and successes, the album showcases the art that comes out of triumph and loss. 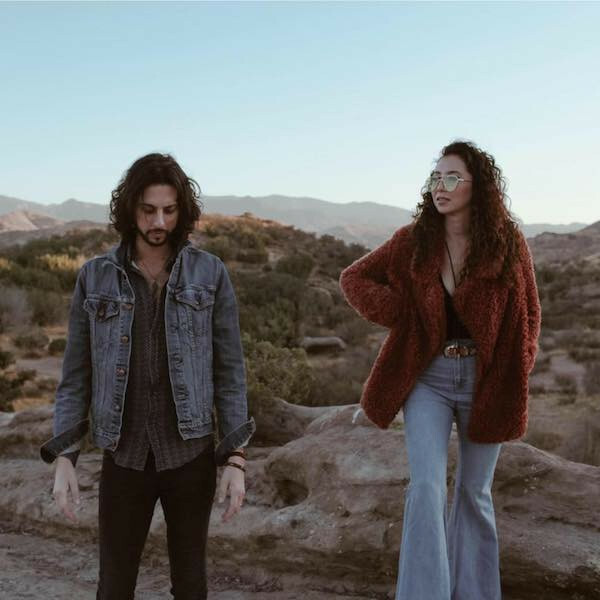 When Alisha Zalkin and Dan Kalisher met through the Los Angeles music scene, there was an immediate mutual admiration for each other’s abilities. Little did they know, it would give birth to one of LA’s top up-and-coming rock bands, Sleep Machine. Based out of Fullerton, CA, Thrift is characterized by noisy garage rock tones mixed with pulsating rhythms and powerhouse vocals. The band aims to captivate audiences and listeners with their easily distinguishable sound. Anna Carmela (bass and vocals) refers to their style as "dirty disco," or, in other words, garage rock-meets-pop. © 2014-2019 TicketBat. All rights reserved. Personal information is information that is associated with your name or personal identity. The Operators use personal information to better understand your needs and interests and to provide you with better service. On some of the Operators web pages, you may be able to request information, subscribe to mailing lists, purchase tickets to events, provide feedback, register for events or apply for membership. The types of personal information you provide to us on these pages may include name, address, phone number, e-mail address, user IDs, passwords, billing information, or credit card information. The Operators may use personal information to provide services that support the activities of the Operators’s members and their collaboration on the Operators’s standards and projects. When accessing the Operators’s members-only web pages, your personal user information may be tracked by the Operators in order to support collaboration and ensure authorized access. Credit card information will be collected if you purchase a product or service from our website, such information will not be kept longer than necessary for providing the services requested. Credit card numbers are used only for processing payment and are not used for other purposes. Payment processing services may be provided by a third-party payment service, and a management company external to the Operators may provide support for the financial activities of the Operators. The Operators may share your personal information with its partners to facilitate these transactions. In keeping with our open process, the Operators may maintain publicly accessible archives for the majority of our activities. If you do not want your personal information collected and used by the Operators, please do not visit the Operators’s web site or purchase any products or services or subscribe to any email lists. All major Credit/Debit Cards are all acceptable methods of payment. Our Terms are payment in full prior to reserving your tickets. Minimum 48 hours notice of cancellation required and may vary from show to show. Notification for instance, in person, via email, mobile phone ‘text message’ and/or fax, or any other means will be accepted subject to confirmation in writing. We reserve the right to levy a $30 charge to cover any subsequent administrative expenses. The laws the State of Nevada govern these terms and conditions. By accessing this website and using our services/buying our products you consent to these terms and conditions and to the exclusive jurisdiction of the Clark County, Nevada courts in all disputes arising out of such access. If any of these terms are deemed invalid or unenforceable for any reason (including, but not limited to the exclusions and limitations set out above), then the invalid or unenforceable provision will be severed from these terms and the remaining terms will continue to apply. Failure of the Company to enforce any of the provisions set out in these Terms and Conditions and any Agreement, or failure to exercise any option to terminate, shall not be construed as waiver of such provisions and shall not affect the validity of these Terms and Conditions or of any Agreement or any part thereof, or the right thereafter to enforce each and every provision. These Terms and Conditions shall not be amended, modified, varied or supplemented except in writing and signed by duly authorised representatives of the Company. Your drawer is currently opened. Do you want to continue with it or do you want to close it? Are you sure to close your drawer for this shift? To venue's distribution list. To show's distribution list.